TTR Euroworks has always been committed to the textile products, mainly for TTR / hotstamp printing. In the last 5 years it has invested heavily in the textile area, such as with Flamitex on which we hold a global patent. Also we are able to cut Nylon mm to 2 m), ultrasonic cutting and hot cutting (from 15 mm to 2 m). TTR Euroworks has established relationships with Chinese and Japanese producers jointly developing exclusive products, taking special care in the quality control of our products. Also in Holland we have a laboratory for controlling the development and study of materials, in which washing tests, printing, develop performance … etc. We have the appropriate certification of our products. 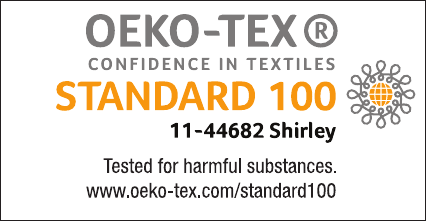 Polyester: 100% Polyester material for domestic and aggressive washes. Printable Wet Ink , TTR, and Hot Stamping .Polyamide, polyester and satin, for printing Thermal Transfer , some of which are resistant to thermal treatments and dyes in clothing. Self-adhesive materials: materials suitable for any type of printing. Suitable for shoes, mattresses, catalogs, helmets, among others. Other products: any product that is in progress and also cotton, cotton / polyester, Tyvek …, etc.